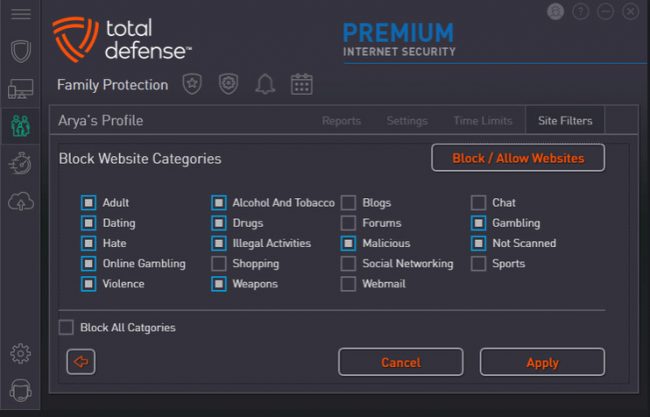 Total Defense Premium Internet Security charges a lot of money but does it offer anything in return? Excellent test scores on various phishing protection tests. Offers no results from various reputed testing labs. 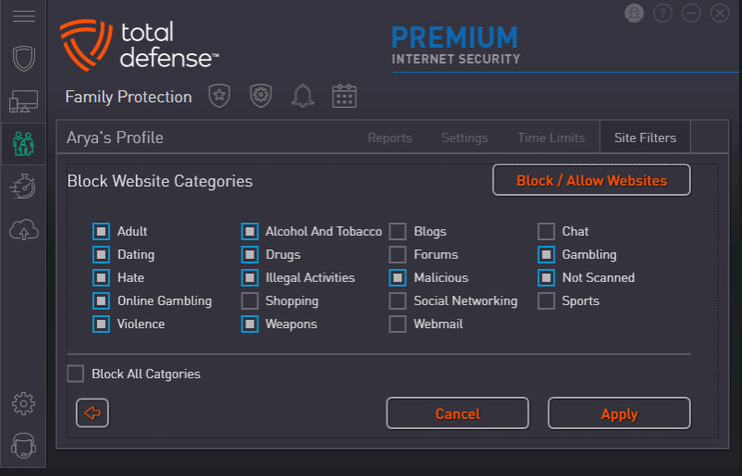 Total Defense also has an antivirus offering but it lacks a simple web-based malware protection feature. 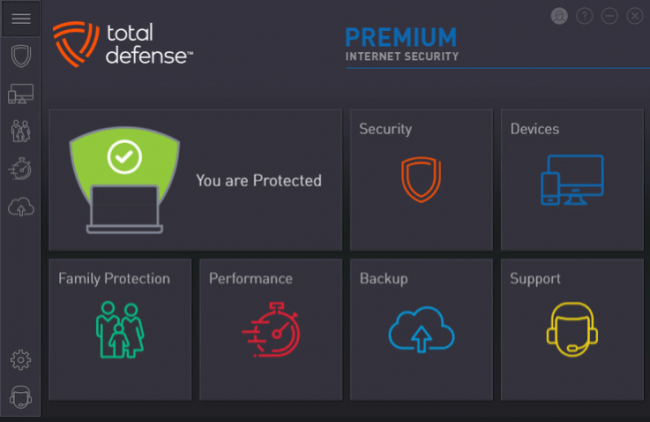 The Total Defense Premium Internet Security product is here to fill in that hole. Moreover, this product also brings in a host of other suite-level features. Our research shows that the price Total Defense asks of its users is reasonable but users are pretty off if they pay just a little bit more money for added online security. No one should debate the usefulness of keeping all of one’s Internet-enabled devices protected. The best way to do that is to make use of a good antivirus utility. That also ties straight into the undeniable importance of having that utility updated. The quickest and easiest way to do all of that is to upgrade to a comprehensive and full-scale antivirus security suite. That is indeed the best choice. 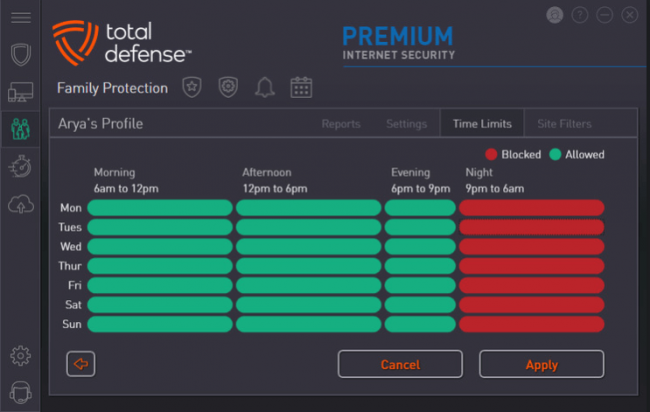 If we’re talking about Total Defense Premium Internet Security, then this premium security suite offers users a web-based online antivirus protection which the company’s own basic antivirus offering severely lacks. So users who have already signed up for the Total Defense antivirus may find it even more important to sign up for the suite for more protection. However, that is pretty much it. Readers should note here that so far we have not mentioned any kind of firewall component. Well, the thing is, similar to some of the other elite antivirus products such as F-Secure and Trend Micro Internet Security along with a few others, the Total Defense suite has the smarts to take advantage of a simple fact that all modern versions of the Windows operating system make use of a powerful firewall that comes built right into them. That isn’t to say that the Total Defense suite is barren. It does come with a few number of firewall settings for users to try out via the suite. However, what they are essentially just quick shortcuts for users so that they can control the Windows Firewall. Of course, relying on features that come built-in the Window firewall offering means that the user would have to forego some of the control over problems such as network access by various apps. This is a feature that forms almost half of what most dedicated and third-party firewall products offers to users who don’t shy away from spending a bit of dough. For a price of $79.99, potential users can sign up for the yearly package which can net them a total of five official licenses for Total Defense. Add to that a total of 10GB of online hosted storage for the user’s cloud backups. Our research shows that Total Defense’ price tag of just under a total of $80 is actually pretty common for internet security suites. However, all of thee four products provide users with a total of three licenses and not five like Total Defense. Apart from that, none of the four options mentioned above offer any cloud backup storage. From a price perspective, Total Defense has done enough to be considered as very good. Readers should note though that if they just fork out another $10 (in addition to Total Defense’ $79.99) per year then they could get themselves a sweet deal with McAfee. The obvious advantage of signing up with McAfee is that it allows users to install protection on an unlimited number of devices. The one other not so obvious benefit of subscribing to Total Defense security suite before going through the actual installation process is that if the user signs up with the company on an automatic renewal basis then the user gets to sign up for the company’s guarantee for keeping his/her computer system virus-free. This guarantee comes in addition to the 60-day satisfaction guarantee that the company offers with all its subscription packages. In a given event where the malware is able to successfully go past the given product’s anti-malware security and also infests the user’s computer machine, Total Defense would call up its experts and would then dig in to fix the user’s problems. In an unlikely case where they are unable to solve the problem, the company says that it would refund the user his/her money. Of course, Total Defense is not the only company that offers this feature. Other security products such as those from the likes of ZoneAlarm and Norton along with a small number of others also offer a pretty similar-sounding protection guarantee. Our research shows that a good number of product lines in the security market consists of three and sometimes even more products which look pretty much similar to each other. They have the same features listed on the company’s website. However, companies try to lure customers into signing up for their more expensive packages by making the unavailable features visible, but disabled, at their lower level security products. Our research shows that this is not how a security company like Total Defense does its business. Instead of doing that, it has an antivirus product whose main window only consists of three huge panels. These three panels do not go anywhere apart from the suite. However, they do shrink and then move ahead to make room for additional panels. Each panel has a representative line-art icon which makes use of a separate and different bold color. In the end, such a design decision yields a fairly attractive effect from an overall perspective. As mentioned earlier as well, security companies in the online world tend to vary rather wildly when it comes to the features that they pack in with their most basic antivirus security product. There are some security companies that offer so many features with their basic antivirus offering that it becomes more or less (at least in the practical sense) a full suite. However, that is not the case with Total Defense. As the name of the product suggests, the essential Anti-Virus sticks to the bare essentials of internet security. Needless to say, the Total Defense suit offers users everything that they would find in the company’s anti-virus offering. We will try to summarize what our research has found out a bit briefly here. The best way to know if an antivirus product is worth the money or not is to track various reports from reputable and independent sources. Most of the time, these come in the form of independent antivirus labs that carry out tests on a regular basis in order to rank antivirus products. Our research shows that these independent antivirus labs have got access to a tremendous amount of resources to devote to the task of torturing antivirus products with their testing methods. Each of these independent testing labs makes use of their own approach in order to sufficiently test the given antivirus product. In other words, all have their own processes and their own marking criteria. The only unfortunate thing, as far as this review is concerned, is that none of the four independent antivirus test labs that we follow include Total Defense in their recent testing reports. Hence, there is no way for us or any other review site to really calculate and display lab tests scores from an overall perspective. Now, at the opposite end of the same spectrum, our research shows that if we apply score algorithm which aggregates all the scores that different labs have given different security products then Bitdefender Internet Security comes out on top. By most estimates, it earns around 10 out of 10. Of course, if one would take results from other independent labs, then the final score may change. One way to tell that Kaspersky really is an industry leader is to look at the fact that all the four independent antivirus testing labs that we follow include Kaspersky in their regular testing. The latest results show that because of a performance glitch Kaspersky had to settle for an enviable 9.9 points out of 10 this time around. As mentioned before, Total Defense does not have any lab scores to show for it. In that case, the only way one can rank a given antivirus product is via a hands-on malware protection procedure and/or test is via hands-on malware tests. These take more weight especially in the absence of any independent lab test results. One kind of hands-on malware test is fairly easy. All that one needs to do is to open up a folder of malware samples which one has to analyze and then observe the way in which the antivirus product under testing reacts. Many products have real-time protection enabled which more or less starts to wipe out malware samples almost immediately. Our research shows that if Total Defense goes through such a test, it would probably score around 80 percent which is good. In the next phase of hands-on malware tests, one has to test the antivirus product with any other surviving malware samples. This scenario gives the antivirus product under testing a chance to actually block the malware attack with the help of heuristic and behavior-based detection modules. One then has to combine all the results from each and every defense of the antivirus product under testing. Our research shows that if Total Defense went through a testing, it would probably score above 8 out of 10 points. As any rational readers might be able to tell, this is not a bad score at all. However, other antivirus products such as Cylance Smart Anti-virus along with Norton, Mcafee, and F-Secure are all able to score over 9 out of 10 points if they go against the same set of methods and malware samples. It is quite normal for a reviewer to continue hands-on malware tests with another evaluation where each antivirus product under testing has to go through the challenge of blocking a new collection of malicious URLs which are just recently discovered. This is where antivirus products equal credit for finding success in diverting the user’s web browser from any and all dangerous websites or web pages. Antivirus products also get marks for wiping out any and all malware downloads which manage to go past the very first line of antivirus’ defenses. With that said, it is also true that Total Defense Essential Antivirus actually does not do a good job of including some, now expected, online web-based malware protection components. What we mean to say is that it solely relies on real-time detection if it wants to wipe out various types of malware downloads. Our research shows that at least in this regard, this antivirus product managed to earn low scores. However, it is also true that the Total Defense Premium Internet security is actually a full online security suite. This is the one that we are reviewing. And it does indeed come with the online web protection tool. This is the reason why one needs to repeat the previously-described test for blocking malicious URLs. Our research shows that some users may try tens of times to see if the web protection components showed any signs of work or even existence until they would have to dig into the product’s settings menu. 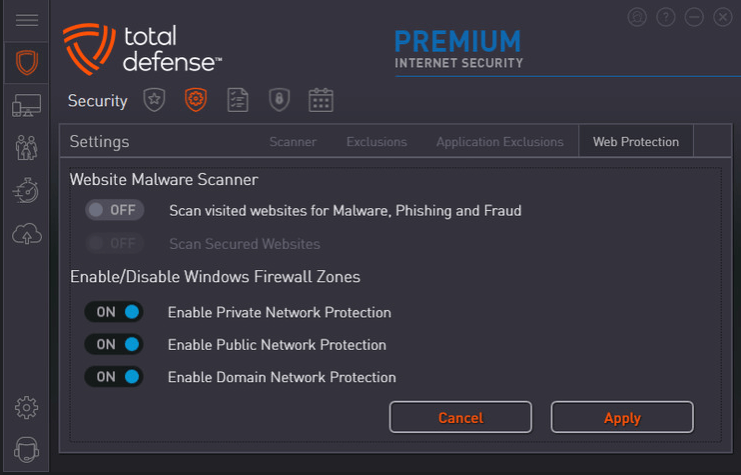 Once the user goes to the tab labeled Web Protection, he/she should notice that under the Website Malware Scanner option, Total Defense by default would have disabled the web protection feature. Users will have to turn this feature on their own and then also enable secure HTTPS webpage scanning. And that will hold true for anyone and everyone using this antivirus product. Just dig into the settings and keep looking until and unless he/she turns on these features to have the maximum amount of protection. After enabling all these features the user has to first make sure that everything is running properly and then restart all the tests. 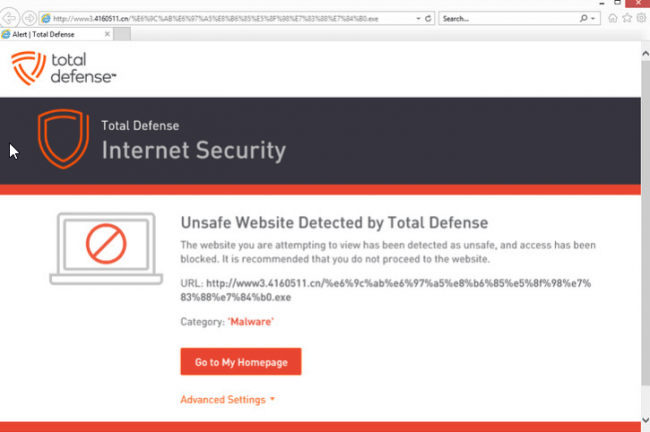 Our research shows that if the user does that then he/she would find that the web protection feature of Total Defense security suite would block access to a total of 70 percent of all the (more than) 100 malicious URLs that one is supposed to test any given antivirus product with. Moving on from that, Total Defense’ real-time web protection feature should also knock off an additional 3 percent of the malware samples at the given download stage. So that takes the full total to around 73 percent. Our research shows that this number if slightly on the lower side. Not only that, it also means that if the user is relying on the Total Defense security suite for protection then out of every 100 malware samples, around 27 would definitely land in the user’s Downloads folder. Some in the media have reported that if one reports these figures to a Total Defense representative, he/she would say that the user needs to have the optimum settings in order to get better results on such malicious URL tests. In other words, Total Defense wants the user to choose a Custom scan which is available as an option on the service’s Scanner page. After that, according to the Total Defense representative, the user must enable the option that says Scan Archives. Users can access this option in the Auto Scans tab. Our research shows that if users do the things Total Defense wants them to do then they can add another 3 percent in their total of 79 percent of all malware URLs blocked. Of course, it is entirely another matter that most of the user simply would not bother doing any fine-tuning and would instead use the default settings. That is the reason why we have to take care of Joe Users rather than only the very advanced ones. Even turning on the web protection feature might mean the user has bent the rules slightly. Our research shows that elite antivirus products such as Bitdefender and Norton are good enough to share the top spot in the above-described malware test for blocking URLs and downloads. Both Bitdefender and Norton are able to provide users with a stunning 99 percent malware protection rate. Other elite antivirus products such as Trend Micro and McAfee Internet Security also regularly score around the 97 percent mark which is a great score as well. We want readers to think of these success scores as success stories. We would also like Total Defense to have a look at these scores and try harder since it is definitely possible for antivirus products to do quite a bit better on malware URL and downloads test. Total Defense needs to work hard if it wants to climb that long ladder of elite antivirus products. There are a few websites that hot malware. And the only purpose of their existence is to serve as an online storage space for all their nasty and harmful payloads. Then there are those other nasty malware-ridden websites that only contain code which attempts to target a user and infest his/her computer machine a soon as he/she visits the malicious site. We are well aware of the fact that writing any kind of malicious code or software and creating various types of drive-by malicious downloads that are available on malicious sites does take a good bit of old-school effort. Those hackers who do not have the necessary skills to cook up such a malware code usually turn to various phishing attacks. To understand phishing attacks, one must understand phishing websites. A phishing website is any website which is a fake website and tries to replicate a genuine website like that of a financial institution’s website. Phishing sites can also mimic other online sensitive websites. The main aim of such phishing sites is that they want to fool the visitor to become a victim by logging in with his/her genuine credentials which they would normally use to unlock the genuine sensitive site. Users who end up logging in to such a phishing fake site don’t know that they actually give away full access to their online accounts to fraudsters. The online web protection component of Total Defense helps users to steer away from all such dangerous websites. Moreover, the same component also servers users to assist them in avoiding a fall into the trap of various phishing scams. Our research also shows that the warning page which always replaces a specific phishing scam is almost exactly the same as another warning page which is used to flag sites that are hosting malware code. Because regardless of the fact is the site is a malicious site or a phishing site, the user probably wants to stay away from both. So how does one test for phishing protection in a given antivirus product? Our research shows that the best way to forward is to gather up hundreds of recently discovered and reported phishing fraudulent websites from those websites whose job is to track down all such things on the internet. While doing that, the user has to make sure that he/she includes a good number of websites which are so mint, so fresh and so new that no one has had a chance to analyze them and blacklist them. After collecting such a list of websites, the reviewer/user/interested-individual has to launch each given possibly fraudulent website in a total of four browsers. The first browser should have the protection of the antivirus product that is under testing. After that, the remaining three web browsers should be set up in a way that they only have the protection of the built-in tools of Internet Explorer, Mozilla Firefox, and Google Chrome. This is where users have to take notice and discard any and all pages which do not really open or load correctly in each and every one of the four web browsers. After that, it is also very important for the tester to toss out any phishing website samples that actually do not fit the exact profile that is associated with a given phishing site. Our research shows that the Total Defense Internet security suite did pretty well. Probably performed better than we expected. More specifically though, it managed to divert the user’s web browser away from the given and verified phishing and/or fraudulent websites a massive 91 percent of the time. Our research also shows that Total Defense actually managed to beat Microsoft’s Internet Explorer by a total of 16 percentage points. Mozilla Firefox and Google Chrome both managed to score better than the antivirus product under testing, Total Defense. However, even then a score of 91 percent is more than good. Of course, nowhere in the world the word good means the best. In other words, elite antivirus products such as Kaspersky and McAfee managed to score a stunning and perfect 100 percent phishing website protection rate. That 100 percent figure is only true as far as the latest round of tests and results are concerned. There are five other products which score pretty close to that number. Two of them are Trend Micro and Bitdefender Internet Security. Both of them score around 98 percent and sometimes even scored higher. Family protection feature which is simple and fallible. We are of the opinion that parental control components of any given security product actually fall among those sets of features which are responsible for distinguishing a security suite from a cheap and simple antivirus tool. We also think that the parental or family protection feature that Total Defense offers comfortably fills that exact slot. With that said, it is also true that the official parental control feature which comes with Total Defense Premium Internet Security is a simple one. And research shows that in tests, it has proven itself as fallible. In order to make and then save any kind of changes to the default Family Protection component settings, the user first has to log in with his/her official Total Defense user account credentials. We hope that would be enough to keep all the little bundles of energy from modifying and/or turn off protection. The next step is to add one (and sometimes even more than one) profile. Users have the option of either creating a different profile for each given Windows user account and/or try to apply the exact same rules/settings to each and every account. Readers should know that it is exactly at this point that they have to give each and every profile an age range. After specifying the type, the user then has to select an icon. 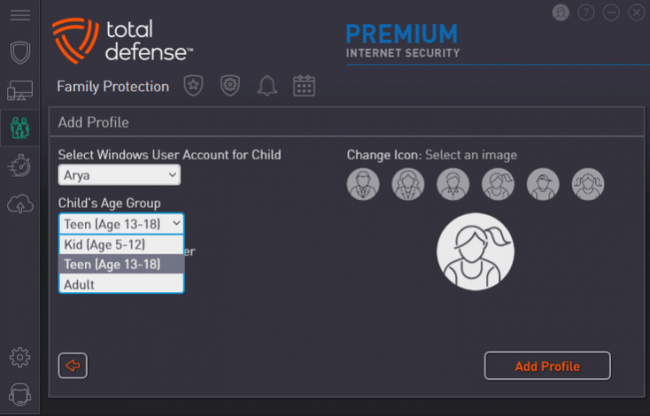 This is where Total Defense takes a bit of control away from the user and preconfigures the present content filter which it bases on the specific age range that the user selected in the previous step. 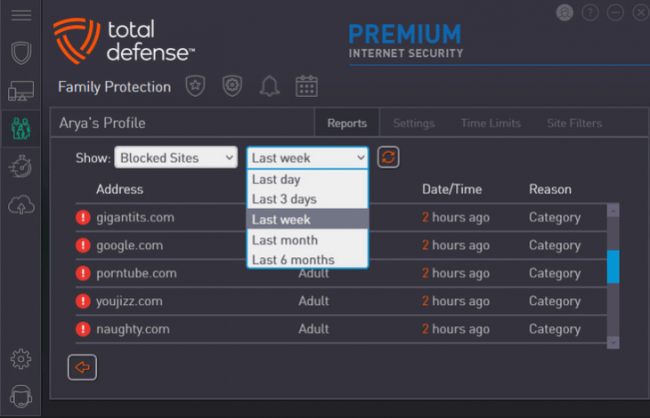 Our research shows that the Total Defense parental control component is able to block access to various websites that match any and/or all of the 19 default categories. We also think that it makes perfect sense to have presets based on the age of the child. Various surveys of ours have also shown that in terms of real world performance there is hardly a raunchy and/or inappropriate site that is able to get past Total Defense’ sniff test. Users should feel relaxed knowing that Total Defense can, verifiably, take care of and filter traffic from secure HTTPS sites as well. It replaces the inappropriate website’s page with one of its own whenever it detects and blocks a given website. The new page has fields in it. In one of the fields, the user can enter his/her parental password in order to have permanent or temporary access to that specific page and/or website. With that said, it is also true that Total Defense is unable to keep the user away from making use of several online secure anonymizing services and proxy sites even when the user has turned on all categories to block such sites. It means that if the kid is clever enough and is able to connect via one of the several available free proxy services, then there is literally nothing that Total Defense can actually do about it. It can’t monitor the activity and it certainly cannot regulate all the websites that the user visits with the help of those anonymizing proxy services. Other antivirus products such as BullGuard, G Data Internet Security (along with some more) present users with a grid. And the grid crosses the specific days of the week along with hours of the given day. It even allows the user to drag with his/her house. This way users can identify the specific time spans where they think it is permitted to use the internet. Then there are antivirus products such as Norton who make use of a rather simpler system. Norton defines a single and daily time-span as far as access is concerned. Kaspersky and Trend Micro enable users to select any one of the scheduling modes. Our research also shows that Total Defense actually handles tasks such as scheduling the internet time a bit differently from various other parental control apps that we have come across. As mentioned before, Total Defense makes good use of a grid, if we can call it that, along with a row in order to cover each given day of the given week. However, instead of breaking those down further into hours, Total Defense breaks each day down into some unequal and predefined chunks. Moreover, there is actually no option for those type of parents who, to take an example, would like to allow their children access to a given device from 5 pm to 8 pm. Needless to say, that same smart kid who had the brains to weasel his/her way out of the previous Total Defense content filtering feature with the help of a secure and online anonymizing proxy would have little to no trouble in evading Total Defense time limits. The thing about this system with Total Defense is that it actually relies on the machine’s system clock. Hence, if someone changes the system time or data then that affects the limits of Total Defense’ parental control feature. And yes, it is true that changing the system time or date does require the user to provide the password for Administrative access. However, there are a lot of parents who give their somewhat-grown-up kids such kind of access to their computer machine so that they can easily avoid having to walk to come in each and every time the kid wants to install a new video game that requires the admin password. Our research also shows that users will get into some trouble while trying to work with Total Defense Family Protection settings. The problem would be the same that they would face in a couple of other settings areas as well. If the user makes some changes to the pages and does not actively save his/her work, then Total Defense would simply discard each and everything that the user did. To take an example, let’s say that there is a user. And the user clicks the page that says site Filters. Then the user moves to make a custom choice. After that, the user clicks the page titled Time Limits. Then, if the user clicks to go back to the Site Filters, then Total Defense would discard all of the user’s changes. Readers have to remember here that they must click Apply after they have made any changes. Moreover, when the user clicks the button to view the Total Defense activity report, the application defaults to show the user the past week’s activity summary. Users have the option of tweaking the selected time period from, let’s say the past six months to the past day. There is also an option which allows the user to select to view the activity history of the account without any filters. Our research shows that the best current and modern systems for parental control allow users to first define and then manage various child profiles via online methods. Then, these parental control services connect each given profile to the user accounts and devices that belong to the child in question. Because that is simply not how Total Defense goes about its business here. Total Defense allows child profiles which are specific to the connected computer machine that the user is working on. In other words, the child profiles do not really carry over to the child’s other internet-enabled devices. The official Total Defense Family Protection component has everything it needs to check the standard parental control box if we’re only talking about a feature list. However, this feature is a weak one in the real world. We are of the opinion that it actually includes the very bare minimum number of features that a parental control system should have. Moreover, a smart kid could not even try and outwit the system. Readers who are looking for an online security suite that comes with a parental control system offering a good number of features should consider ZoneAlarm and/or Kaspersky. As mentioned before in the review as well that Total Defense does include a relevant scan to check for performance issues. However, the scan works in a pretty similar way to how it works as a feature in Avast. In other words, it can only offer users some information and does not offer any tips or options on action. Users who run the scan looking to cure the ills of their computer problem would find that the performance scan doesn’t help with that. It shows the user its scan results and wants them to upgrade to the official Total Defense (most expensive) Unlimited Internet Security. Let’s talk about how the scan works in terms of performance issues, stability and speed. Our research shows that Total Defense performance scan should not take more than five minutes. It should find some issues as well. Once the user clicks the present Tune-Up button the expected response of seeing a screen which advises them to upgrade to the company’s Ultimate security suite doesn’t always come. Instead of that, users have to remain content with a screen and its uninformative message where it tells the user that he/she is not entitled to carry out and/or perform such an operation. If the user clicks the button to go back, he/she has to run the scan again from the start in order to view issues and results. So what should the user do? Well, as is evident, the user has to run the scan again if that was not clear enough already. However, the second time around it should not be hard for the user to avoid the service loading up that same button regarding Tune-Up again. Instead of looking for that button, our suggestion is that the user should click for a full report. Our research also shows that the report is more likely to state that it managed to find some Registry recommendations and some startups recommendations. With that said, it is also true that if the user clicks the shown details for more information, the service would not show any actual recommendations. In fact, it would not even identify the particular Registry keys it found problematic. We’re pretty sure that not even a seasoned Registry expert would have the knowledge to immediately know the message that a line like “Type: Interfaces: IAcroAXDoc” is trying to clearly convey to him/her. From a security suite that charges $80 per year, we would at least expect its performance scan to do more than check-only. In fact, we had actually hoped that the suite would have enough about it to provide the user with all the tools to at least take care of all the issues it managed to find manually. Of course, Total Defense proved us wrong. In the end, we have come to the conclusion that there is really no point in running the Total Defense performance scan whatsoever. It is a well-known practice among security companies that if they offer two differently priced tiers of security suite and other protection, then the company’s top-of-the-line most expensive tier, most of the time, offers users an additional feature of system tune-up and data backup. As alluded to before as well, Total Defense Premium internet security suite comes with a hosted online backup. And we are aware of the fact that Total Defense internet security suite only represents an entry-level security suite. Even with that, users get to use a total of 10GB of online cloud storage space with their subscription package. If users make the decision of upgrading to the company’s Ultimate subscription package then that raises the amount of cloud storage to 25GB. This is pretty much the same storage space that users get when they sign up with an elite security product like Symantec Norton and its Security Premium suite. The default settings dictate that Total Defense only backs up the Videos, Pictures, Audio, and Documents folders for the user who is currently active. Users have the option of modifying the collection of their folders for further backup. However, users do not get the ability to create a multiple number of backup jobs. This is something that users can do with a security tool like Kaspersky total Security. Other antivirus security products such as those from Norton also allow this functionality of having multiple backup transfers. Users have the option of clicking the backup button the first time they access the service. Or, they can also schedule backups on a monthly, weekly and/or daily basis. As it turns out, Total Defense also does not give users any option to actually back up any file that they may have changed during some idle time. Then there is the fact that Total Defense security suite does not offer users the ability to maintain a multiple number of version of his/her files that he/she has backed up. How does that affect the end user? Well, in a scenario where a ransomware infects the system and overwrites the user’s file before Total Defense had a chance to perform the latest backup, then the user is pretty much short on luck. This system of not having multiple versions of the user’s files also gives problems if the user finds himself/herself in a situation where he/she regrets his/her edits and has a desire to go back to that version of a given document which was present last Tuesday. Users who want to restore some backed-up files have to open up the backup. While doing that users have to make sure that they open it up while taking the folder tree structure. After that, the user chooses all the items that Total Defense should restore. Perhaps this is a good time to mention that Total Defense also does not provide any options to users who want to restore their files to their previous/original location. The default settings dictate that once the user restores a backup, the files go to a folder named My Restores. The other thing readers need to note here is that Total Defense has a completely cloud-based backup system. Hence, users don’t get to choose to specify a local backup folder destination. By contrast, Kaspersky offers a strictly local backup option. Of course, Kaspersky allows users to hook its local backup up to a reputable online cloud storage account. And there are many services for users to choose from in that respect such as Drive and DropBox. There is also Norton that enables users to define a multiple number of backup jobs along with allowing the user to send each of those jobs to either the user’s online or local destination. 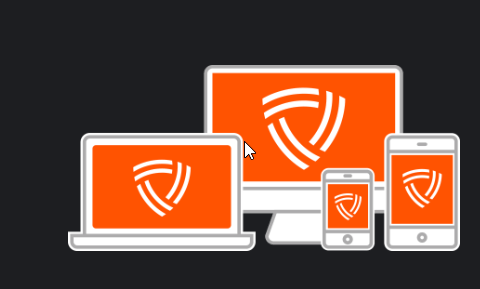 Total Defense has a very simple backup system in terms of usability. This is something no one can take away from it. However, Total Defense backup feature lacks some fundamental features. Features such as idle-time backups and multiple versions. We’re thinking, a feature which restores the backup in a place of the user’s choosing should also be present. These are all features that users expect now. They are not luxury features. What about the performance hit on the system? No matter how powerful a computer machine is, if the user is not shying away from loading a dozen of security-related OS processes right at startup time then that can push the machine down and increase its boot times by a lot. There is also truth to the fact that security processes can sometimes lurk in the machine’s background for too long while watching for any type of malware. And that can slow the user’s everyday file manipulations and operations. Or maybe that is something that online consumers only have in their heads. The thing about modern and reputable security suites is that they generally do not prove themselves as giant drags on the user’s system and/or system performance. With that said, it is also true that our research shows that Total Defense does impact the user’s machine and probably more than a lot of the other security suites available in the market today. In order to measure the actual boot time of the machine, the best way forward is to run a script. The script should run right at boot time and then check CPU usage but only once per second. Now, after a total of 10 seconds have passed, the CPU usage should come down to 5 percent and sometimes even lower. This is the system that most consider to be usable for the user at a moment’s notice. Then, one should go ahead and subtract the actual start of the machine’s boot process in order to yield an accurate figure for boot time. The best method to get an even more accurate result is to run the test that we have described above around 20 to 25 times and then average out the results. After that, one should install the new security suite under testing and then move forward by running the same process another 20 odd times. Based on such a method and tests, our research shows that Total Defense is likely to raise the machine’s boot time by around 35 percent. That may not sound like a lot but it is actually more than what more modern security suites offer. Of course, it is not the worse either. The other thing readers should know is that the majority of online users in the modern world only make use of the reboot function when they absolutely have to or are forced to do it. Security suites also impact file operations. So what’s the best way of measuring that? Well, first the user has to make use of a script which is able to move and copy a large collection (which is varied as well) of files between different drives. Pretty similar to the previously-mentioned boot time tests, currently the best practice is to run a lot of tests both before and after properly installing the security suite under testing. Our research shows that such a script is likely to take around 40 percent longer if one also installs the Total Defense security suite on the same machine. This time around, that figure is completely on the higher side when it comes to the security suite market as far as this test is concerned. There is a positive note her as well. Another related script which zipped and unzipped the same large and varied collection of files repeatedly actually did not take an increased amount of time to finish the operations even after the machine had Total Defense on it. As mentioned before as well, the Total Defense security suite is not really overloaded with great features. So it should come as a surprise to anyone as to why this security suite impacts the system’s performance so much. Other elite security suites such as Adaware, Bitdefender, and Webroot SecureAnywhere do not have a perceptible impact on the system when put through the same tests that we have mentioned just now. Taking into consideration everything that we have mentioned so far, it should become clear to anyone that the Total Defense Premium Internet Security suite is a decent option since it offers users the all-critical online web-based malware protection. That facility is not available to users who have signed up for the Total Defense standalone antivirus solution. The security suite, on the other hand, has enough about it to assist users get away from malware-hosting websites and URLs. However, this component does not perform up to the levels that we would expect from a security suite that costs as much as Total Defense. There is also a parental control component which is actually a system that is both fallible and limited. As for the performance scan, that does a terrible job of offering users with beneficial recommendations. Apart from that, there is the cloud backup feature which is a welcome addition to a weak set of features that Total Defense offers, but it too manages to omit some of the most useful features that other security-suite-attached cloud storage solutions offer such as file versioning. Other elite security suites such as Kaspersky Internet Security and Bitdefender Internet Security do not give the user any cloud backup space. However, they do offer users each and every suite feature that they have come to expect. The more important point is that these elite security suites have components that perform extremely well with each other. Add to that the fact that these elite security suites consistently manage to earn nearly perfect test scores from most of the reputable independent antivirus testing laboratories. Of course, it is also true that these security solutions do ask the user for a bit more money if compared with Total Defense. But there is no denying the fact that they offer users a lot more features and optimization in return as well. That is the reason why we would not recommend Total Defense to users who want the best value for their money. Such users should stick either with Kaspersky or Bitdefender as their primary internet security suites.